Conti® Castile Olive Oil Sensitive Skin Bar is 100% natural and contains pure Virgin Olive Oil, a superior moisturizer that replenishes skin oils and promotes healthy skin. It is made without animal products, preservatives, or animal testing. Virgin Olive Oil also contains Oleocanthal-a powerful anti-aging, anti-inflammatory compound. 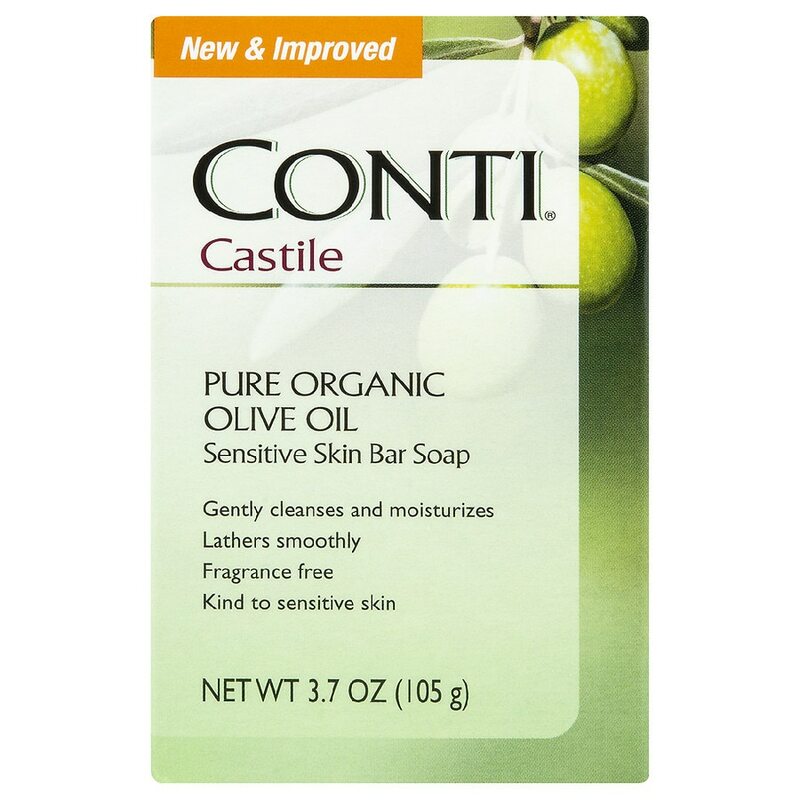 Conti® Castile Olive Oil Sensitive Skin Bar lathers smoothly, provides extremely gentle cleansing and is not drying. It's hypoallergenic and fragrance free - so it's perfect for even the most sensitive skin. Conti® Castile-providing mild, gentle cleansing for your skin since 1925. © 2007 Numark Laboratories Inc.